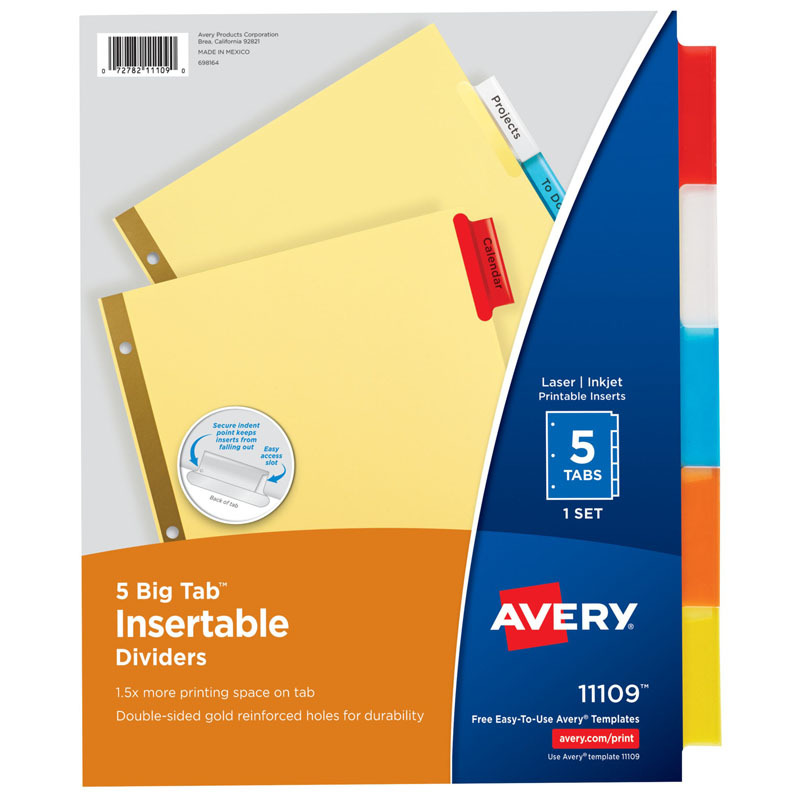 With WorkSaver(R) Big Tab(TM) Insertable Dividers, it's easy to get the big idea. These tabs are 50% larger than typical tabs for even more printing space, so you can use sizeable fonts or even more lines of text on each insert. Use a free template from avery.com to customize the tab labels and then print them in minutes. A unique tab design keeps your insert from falling out with the help of a secure indent point at the base of the tab. The dividers stand up to pressure thanks to copper-reinforced holes that provide extra tear resistance. When you use these Big Tab(TM) dividers, you'll realize improved organization in a big way.